Fermentation is a safe, easy, and economical way to preserve food and create probiotic-rich meals and beverages. 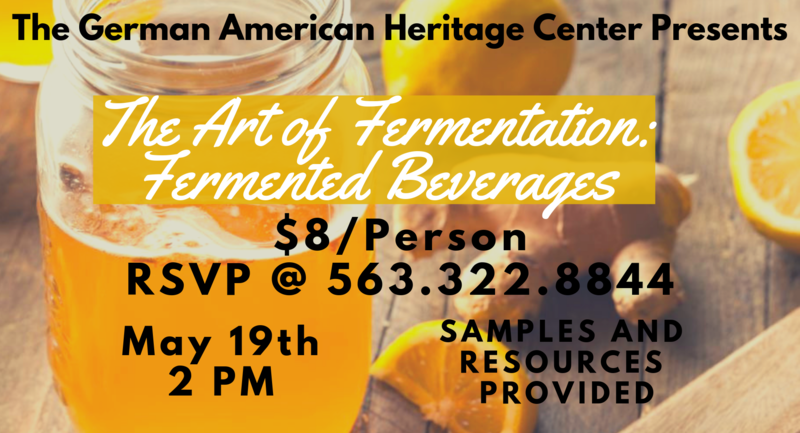 Join Kristin Bogdonas, nutrition & wellness educator from The University of Illinois Extension on May 19th @ 2PM at the German American Heritage Center to learn more about fermentation and how to make fermented beverages at home. Sample and resources will be provided. Cost is $8 per person. Space is limited so please RSVP! Tickets also available on Eventbrite.